As tough as it may be to write about death, it’s one of the only truly universal topics. And yet people have very different ideas about what constitutes a “good” death. Is it smarter to remove a feeding tube from someone who has no chance of recovery? At what point should quality of life for the elderly be given more priority than the length of it? How should we talk about the subject? In Judeo-Christian tradition, pain begins at the beginning, with original sin, when Adam and Eve are expelled from Eden. Pain was a sign of guilt. It was just punishment for criminal behavior; it brought us closer to God. “Suffering was — and still is — regarded by many as something that can, must, or ought to be endured,” writes Melanie Thernstrom in The Pain Chronicles. It made us better. Thernstrom tells us that, in the mid-nineteenth century, the president of the American Dental Association condemned the use of anesthesia for tooth extraction, saying, “I am against these satanic agencies which prevent men from going through what God intended them to go through.” Relief of pain during childbirth was also controversial: women were intended by God to suffer during labor. Even when the twentieth century ushered in modern medicine, vestiges of earlier concepts remained. “The remedy for pain seemed plain: treat the disease or injury, and the pain should take care of itself,” writes Thernstrom. Medicine focused on curing underlying illnesses and disease, instead of alleviating pain. Ideas of pain as unavoidable, if not redeeming, are particularly prevalent at the end of life. When combined with medical culture’s focus on curing illness — what journalist Katy Butler in Knocking on Heaven’s Door calls “the tyranny of hope” — patient care has taken on a try everything fervor. One more round of chemotherapy, one more course of an experimental drug, without regard for the pain and suffering of the patient, without consideration of his discomfort or the searing trials of recuperation. Life, it is thought, no matter how wracked with pain, how old, how disabled, is always preferable to death. Treatment, however futile, is the default. French sociologist Émile Durkheim tells us that pain itself “has nothing desirable about it,” and yet it is a “normal function of physiology.” Pain is an indicator of bodily problems; its function is to warn us that something is physically wrong. However, physical pain is never just physical. It is psychic as well or, in hospice phraseology, “existential.” Pain can be the result of confronting one’s existence, not just a body that hurts, but a loss of love, grief for a deceased parent, the loss of a job, debt, regret, impending death. Pain, when persistent and untreated, causes depression; it wrecks relationships, takes away security, and alters how we see the world. Emotional pain has physical effects: when a love ends, we say our heart is broken; we become blind with rage; we languish in despair. Pain also removes us from ordinary existence; it transports us to a new world we had not known before. Isolation. In hospitals across the United States, nurses often wear placards around their necks that show a series of faces, their expressions ranging from “0, NO HURT,” to “10, HURTS WORST.” The “0” face is smiling, the eyes are wide and happy, the eyebrows pleasantly arched. The “10” face is frowning, the eyes are half closed as three tears fall from them, the eyebrows are low and heavy. Donna Wong, a pediatric nurse, and Connie Baker, a child life specialist, developed the scale in the 1980s to address what they saw as a challenge to treating pediatric patients’ pain: children don’t have words to describe what they are feeling. But I first encountered the scale in hospice where the patients were adults who also didn’t have the necessary words. Another pain scale, the McGill Pain Questionnaire, was developed in 1971 by Ronald Melzak, a psychologist at McGill University in Canada, and his colleague W. S. Torgerson. 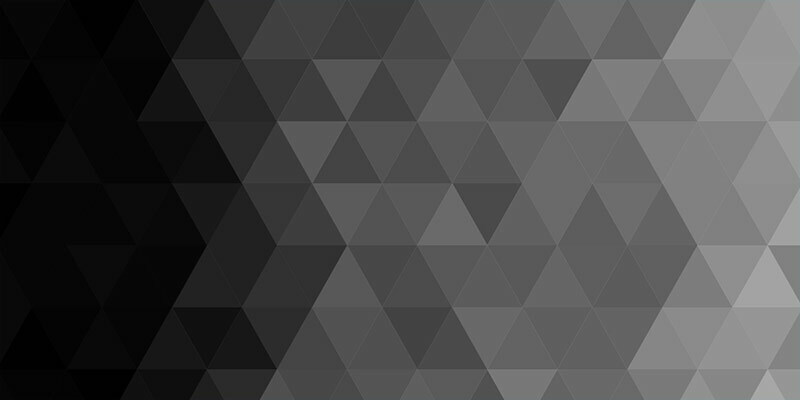 Words like lacerating, stabbing, pricking, and throbbing are arranged on the McGill Questionnaire in twenty rows, two to six words each. The questionnaire is meant to help patients find words for how they feel, writes Scarry, because the “act of verbally expressing pain is a necessary prelude to the collective task of diminishing pain.” More than forty years after the development of the McGill Questionnaire and the publication of Scarry’s The Body in Pain, after the rise of hospice programs across the United States, it’s difficult to conclude that we’ve made much progress in the “collective task of diminishing pain.” One effort, inside and outside the medical community, to address patient pain is to place medical decision-making power in the hands of patients. The idea of medical autonomy — that patients have the right to decide what medical treatments they do and don’t want — has existed for decades. Ethicists cite its first appearance in 1891 when a woman who had been injured in the sleeping car of a train refused a medical examination. In Union Pacific Railway Co. v. Botsford, the court ruled that the woman, Clara L. Botsford, could refuse the exam on the grounds of privacy. The Missouri court, when deciding Cruzan, cited Union Pacific Railway. As the US Supreme Court did in its 1973 decision on abortion, the Missouri court determined that a person’s medical privacy was tantamount. Medical advancements, emergency resuscitation, ventilators, and feeding tubes had changed the way society, the courts, and the Cruzan family understood death. No longer was it a natural process that proceeded after a fatal trauma, illness, or elderly decline. It allowed patients and their families to consider the emotional and physical price they were paying for more days on earth. Yet the ideology that pain is natural and that death can be deferred is still embedded in the economic structure of health care. “The system rewarded nobody for saying ‘no’ or even ‘wait,’” Katy Butler tells us in Knocking on Heaven’s Door. Doctors’ conversations with patients about physical and emotional pain are not reimbursed, but treatments that cannot cure — and will only increase suffering for patients, their families, and their caregivers — are. The “tyranny of hope” is also then a tyranny of profit. Over the past five decades, as medicine has advanced and cases like Cruzan have spurred national debates, a movement has formed to combat overtreatment’s relentlessness, its insistent plague on the last months of life. Legalization of aid in dying, some say, is a way for patients to take their own medical decisions into their hands, to hasten death and therefore skip the needless pain and suffering — to skip the loss of their body, their mind, and their environment. “Death with Dignity,” as the state initiatives are called, gives those with six months or less to live the legal right to get prescriptions for lethal medication from their doctors. Politically sophisticated, couched in current ideas of personal choice, dedicated to the need to give patients silenced by pain a voice, and gaining ground across the country, proponents of aid in dying believe that there is nothing worse than emotional and physical pain. Not even death. The Good Death is now available online and in bookstores. 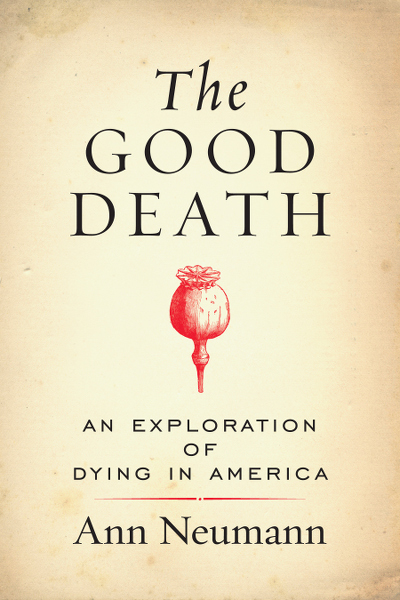 Excerpted from The Good Death: An Exploration of Dying in America by Ann Neumann (Beacon Press, 2016). Reprinted with permission from Beacon Press.